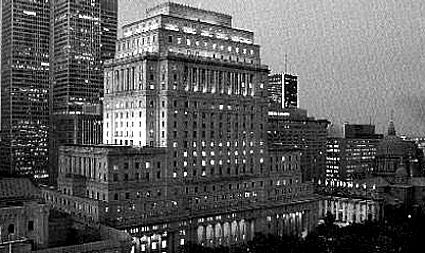 In 1974 the NHL Amateur Draft was held via conference call at the NHL office in Montreal, Quebec earlier than normal, and in secret, to prevent the rival World Hockey Association teams from poaching their prospective players. To save on scouting costs, the WHA had a habit of watching the NHL draft and then attempting to sign players the NHL had drafted before the NHL clubs could. The secrecy didn't work though, as information leaked out via agents and other sources over the three days of the draft. 1974 was also the first year the NHL allowed underage players to be signed in response to the WHA taking players below the current NHL age limit of 20 years old the previous year. 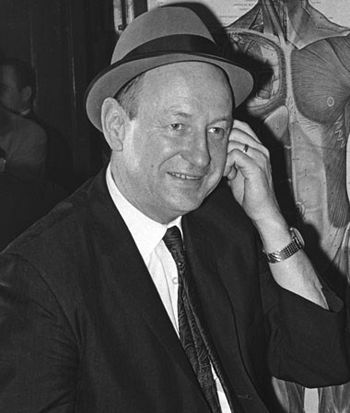 Annoyed and fed up by the tedious conference call format, Buffalo Sabres general manager Punch Imlach decided to have some fun at the expense of the league president Clarence Campbell. Imlach asked one of the secretaries of the front office staff if she knew any common Japanese names similar to "Smith" in English. While she didn't have an immediate answer, she did know a Japanese florist and phoned him. The florist informed her that "Tsujimoto" was a common last name in Japan and "Taro" was common for a first name as well. Imlach got the spelling from her, and then thought for her to ask the florist what the Japanese word was for "sword", to which he answered "katana". 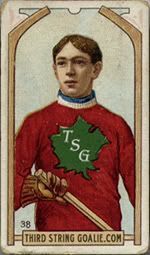 When the Sabres turn arrived in the 11th round, Imlach then claimed star center Taro Tsujimoto of the Tokyo Katanas of the Japanese League as the 183rd overall pick. All along the conference line people started to laugh and someone then asked how "Tsujimoto" was spelled. Not one person in the eighteen clubs listening on the call, perhaps a hundred of the best hockey experts in the business, knew who Taro Tsujimoto was, to the delight of Imlach. 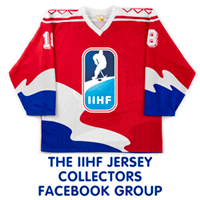 Remember, this was 1974, when Swedish players had just started playing in the NHL and the first Russian NHLer was still 15 years in the future. It would also be 21 years before Japanese players would make their way onto major league baseball rosters with any regularity, so even the thought that a Japanese player would even be drafted, or even make an NHL roster, was simply absurd at the time. The Sabres at one point even talked about actually getting a Japanese guy to show up at training camp, but did not carry the gag that far. Eventually when they did get to camp, reporters started asking when Taro was going to arrive, to be told, "Any day now." It wasn't until weeks after the draft that Imlach finally admitted that "Taro Tsujimoto" was a fake pick, but not until the name had appeared in several NHL publications, and all major media had reported it as a legitimate pick, including The Hockey News. The NHL would eventually change the pick to "invalid claim" for it's official record keeping purposes but the Sabres still include Tsujimoto in their official team media guides. Taro Tsujimoto quickly became an inside joke for Sabres' fans and employees. For years after the incident, fans would chant "We want Taro" when games became one-sided. 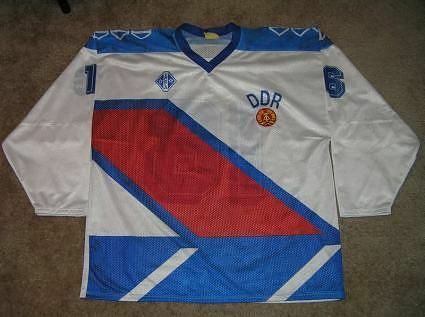 There were also a series of signs the fans would make with a "Taro says" theme, such as "Taro says Dave Schultz is German for Game Misconduct". There were also bumper stickers made with the "Taro says" theme. 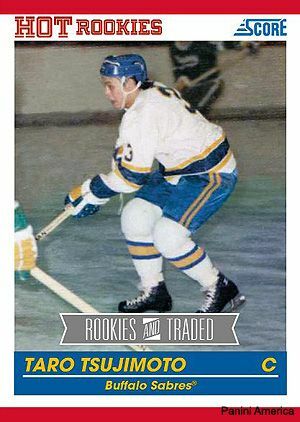 The legend of Taro Tsujimoto lives on, as Score created a hockey card of the imaginary Japanese draft pick in it's 2010-11 Rookies and Traded set! You can even order your own Toyko Katanas Taro Tsujimoto t-shirt and spot the occasional Tsujimoto jersey, our featured jersey of the day, at Sabres games as the joke lives on 35 years later. Love the site, been reading for the jerseys included at the bottom of the posts! Anyway, one little clarification on the story, the name was concocted by Paul Weiland, the Sabres PR man at the time, per Wikipedia (sourced from the Celebrate The Tradition book the Sabres put out in 1990). It's still an awesome story, and the pic you posted isn't the only Taro jersey out there. 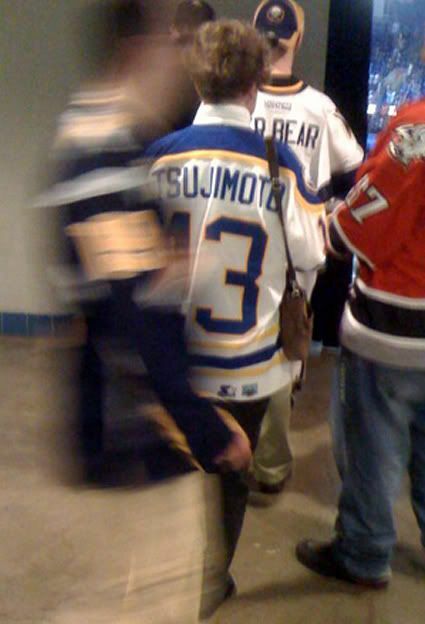 I ran into a kid wearing a new home blue "Buffaslug" jersey with Tsujimoto #74 on it at a game last season. Good stuff! Thanks for the compliment on the site. I read the Wikipedia entry as well, but I got my information from Punch Imlach's own book "Heaven and hell in the NHL" on page 83. I figured his own book was a more reliable source in this case than Wikipedia. 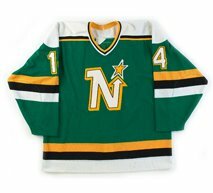 I looked for better photos of a Tsujimoto jersey and certainly would have go with #74 on mine if I were getting one myself. I had never heard this story. 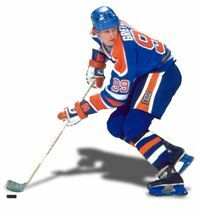 What a great piece of hockey lore! Thanks for sharing it. Interesting story. BTW, the correct spelling for "sword" is "katana" -- only one N.
Oops. Thanks for the correction and the encouragement. I have written a biography of Taro, titled Legend of Taro. It is available on Amazon. I had a lot of fun with my story. The research was somewhat difficult, as I had to merge Taro into reality, so to speak.